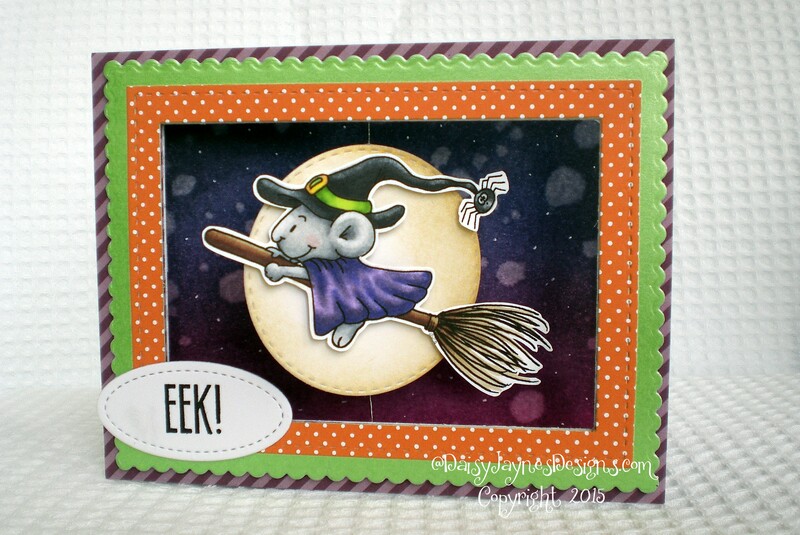 Todays card is for the Gerda Stiener September progessive card challenge, using this cute little mouse on a witch’s broom. I used Spectrum Noir markers to colour the image and picked out all of those Halloween colours from various paper pads. My design shows the little mouse flying past the moon, obviously on it’s way to a witches meeting! The mouse is popped up on the moon using foam tape and suspended in the aperture using a fine silver thread which then makes it a spinning card. 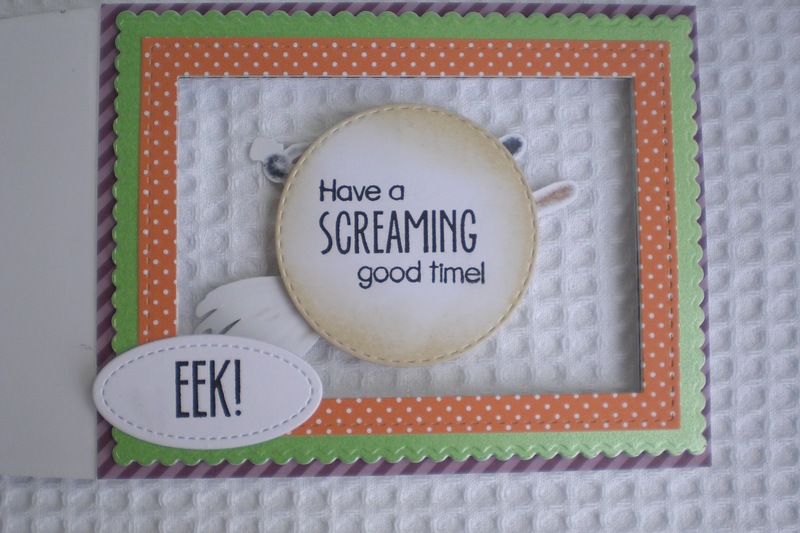 I have stamped ‘Have a SCREAMING good time’ on the reverse side of the moon. The dark Autumn night sky was achieved by blending Distress inks and dripping water on it to give it that eerie feel, I then used a white gel pen to add some stars. This card was so fun to make 🙂 and I can’t wait for next months challenge! Adorable what you´ve done with this Image. Love the Scene.